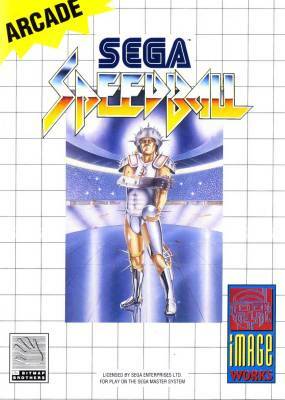 Speedball - Games - SMS Power! 81 CVG magazine "Complete Guide to Sega"
THE SPORT OF THE FUTURE! 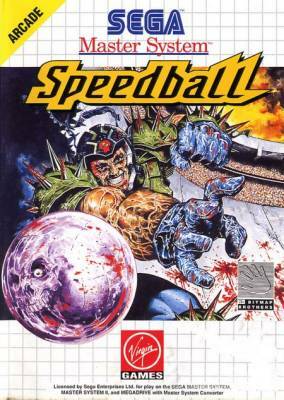 Speedball is the action sport of the 21st century. Wearing spiked armour bodywear, helmet and gloves, you'll go face-to-face with some of the ugliest, meanest goons in the world! Dodge neckbreaking tackles and bone-crushing body slams to pass a solid steel ball towards your opponents goal. Hammer your toe enough times and he'll cry for mercy. 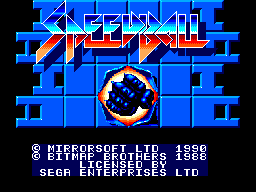 There is a development page for Speedball. Visit it to see technical discussion of this game.